I'm still laptop-less, so this is just a quick post about something I've been meaning to share ever since I saw it. Something about an ordinary lil thing with....Super Magic Powers, like DaddyBoy would say (now with the LittleOne following suit, of course). Baking soda. Yup. I've always been a big fan - I use it for cleaning spills on the carpet, and for scrubbing the stove and appliances in the kitchen, not to forget countertops. Even the bathtub and the toilet come out shining with it. It really is a handy thing to have around if you don't like the chemical-infested cocktails they sell as household cleaners. 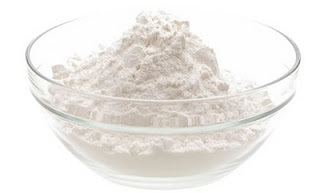 Of course, baking soda is also a manufactured compound, so we do ravage the earth a little while making it, but it's still far more friendly to the environment than regular cleaners, both in its production and its use. Combine it with earth-friendly vinegar and you have a powerful team of Super Fighters. But then I came across this. 30 great tips for baking soda. And then some, if you look at the comments this post generated. Here's one from my Mom: Take about equal quantities of baking soda and active dry yeast. You need very little of each - less than half a teaspoon. Mix together with a tiny amount of water to form a paste. Rub gently on your face. Keep for a couple of minutes, then wash off. You won't believe how soft your skin feels afterwards. Try it! The only problem I've ever had with a baking soda vinegar solution, is the smell. It's better than chemicals--don't get me wrong, but definitely still strong!! Rania - hope you did! Keller - yes, the smell can be a little off-putting, but it doesn't seem to last. I use apple cider vinegar.